Thinking about starting a freight broker business? There’s no better time than right now. With the attractive salary of a freight broker and increasing demand for new freight companies, you have good reason to launch your freight broker business. This article will take you through the ten main steps of launching your freight management business. What is a freight forwarder, or freight broker agent? Before you take steps to launching your freight services company, it’s a good idea to get to know the role of the freight broker agent. Aside from the healthy salary of freight broker (earning up to $90,000 per year), the freight broker agent is vital for the transportation of roadway freight. 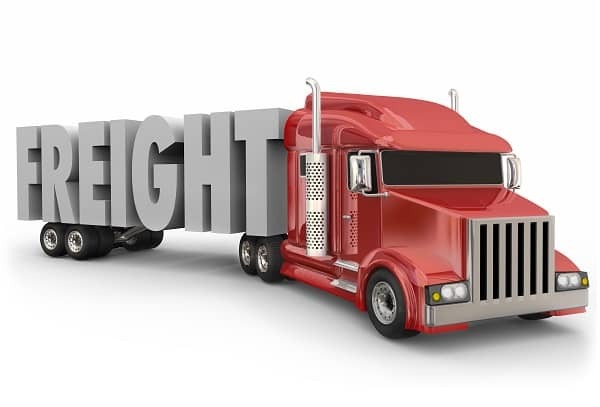 The freight broker acts as the critical connection between shipping companies and freight truck carriers. They negotiate freight terms, freight rates and roadway freight deliveries, and link shipping companies with the businesses that need to transport roadway freight. The freight broker also plays an important role in freight tracking, keeping detailed records of pickups, deliveries and other freight management data. They also need to be experts in trucking logistics and using freight finder tools such as load boards to locate truck loads available. Going through freight broker training or gaining some experience working for other freight companies will be a big benefit to you as you get started. It will help you understand how to set freight rates at a price that’s profitable for you, learn how to use free load boards or freight broker software, and stay in compliance with federal laws. Reading the top freight broker training books can also give you a head start. 2. Choose a freight broker company name and register your freight broker business. Check the US Patent and Trademark Office to check whether your chosen freight broker name has been taken. Then, think carefully about the kind of entity you’d like to register your freight broker as, such as sole proprietor, partnership, Limited Liability Company or corporation. Finally, register your freight broker business in your state at your local business license department. 3. Perform market research and draft a business plan. With a solid business plan in place, you will be able to apply for a loan from your bank. In addition, your business plan will clarify which freight services market you will be targeting and who your customers are. 4. Identify the right carriers that serve your niche. No carriers mean no freight broker business. An important element of your market research in step three should include finding the carriers which work in the niche you’ve chosen for yourself. From online directories and networking events, there are many ways to find trustworthy, reliable and professional carriers. 5. Apply for a freight broker license. Before freight companies can start operating, a freight broker license from the Federal Motor Carrier Safety Administration (FMCSA) is required. The freight broker license is also referred to as obtaining your Motor Carrier Operating Authority (MC authority). Your first step in getting licensed is to get a USDOT number, which is required on the FMCSA application. Once your application has been approved, the FMCSA will send you your MC number. 6. Get a freight broker bond. You need to obtain a freight broker bond or a BMC-84 bond. A freight broker is like a three-party contract: your freight broker business is the principal, the FMCSA is the obligee, and the surety is the one providing the freight broker bond. The purpose of the freight broker bond is to ensure that freight companies follow all applicable rules and regulations. When you apply for a freight broker bond, the surety will review your personal and business finances, as well as your credit score and the overall stability of your business, to determine your freight broker bond cost. 7. Obtain insurance and general liability. You need insurance for loss and damage and in some cases for bodily injury, property damage and environmental restoration, because many shipping companies will require you to present these before you begin working together. 8. Choose process agents for each state you do business in. With your bond and insurance in place, you’re ready to choose your process agents for each state you do business in. This can be achieved through a form called the Designation of Agents for Service of Process (Form BOC-3), which you need to complete and submit to the FMCSA. Since you’ll often have to pay the freight truck company for the shipment before you’ve received payment from shipping companies, you will probably have to apply for a line of credit to have enough cash on hand. 10. Find truck loads available. The final element in your freight broker success is finding truck loads available. Using freight load boards, such as online free load boards or free truck load boards, freight companies can find postings of truckloads available for transport. The more time you invest in these ten steps, the better you will be able to meet the challenges of your industry and ensure lasting success for your freight broker business. Make sure you get the loads you need to make money by signing up at FreeFreightSearch.com – the world’s biggest free load board.